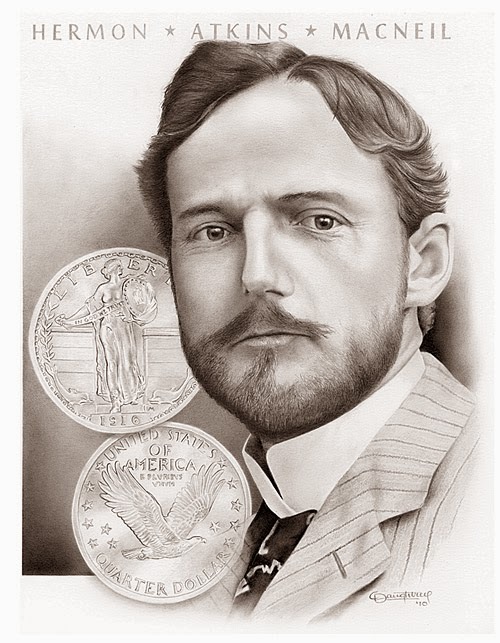 Chuck Daughtrey has produced a series of numismatically related drawings. These are available at very reasonable prices from http://www.cdaughtrey.com/. I bought Morgan and McNeil. 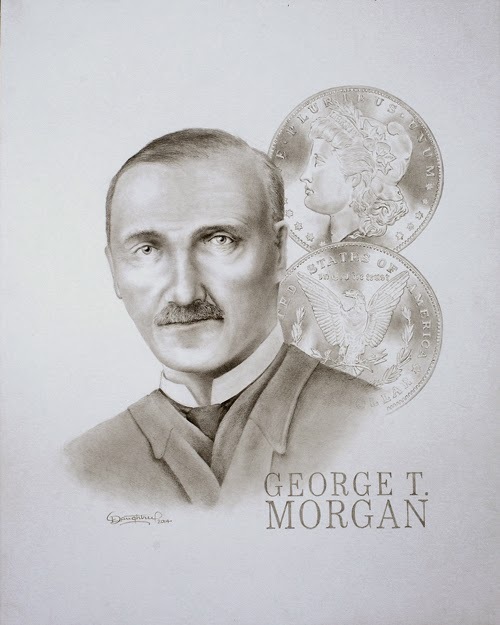 These two are the designers of two of my favorite coins, the Morgan Dollar and the Standing Liberty Quarter. I do admire St. Gaudens Double Eagle also, but I had to limit myself two. If I had the space to display them and a larger budget, I'd buy them all. If you buy any of these, remember that you can't leave them wrapped up in the shipping tube. Prints will develop a permanent curl and even creases. Don't put off framing. Chuck is one helluva artist. He has some of the finest work I've seen! The print I won is awesome. I informed Chuck my intentions of buying the set. He was gracious enough to set back the matching numbers!